This water baptism was performed in 2013 by the pastors of Bread of Life Christian Church (Rogersville, Missouri), a growing Slavic congregation affiliated with the Assemblies of God. The 2013 Full Statistical Report was not posted on the AG website as of today (6/16/14), but the article provided the following notable statistics for calendar year 2013. For comparative purposes, statistics from 2008 and 2012 are also provided here. The AG is growing at a faster rate than the U.S. population, which increased by 0.7% in 2013. The number of U.S. adherents has been increasing at a relatively steady pace — at an average of 1.6% per year since 1989, and 1.5% per year since 2008. In recent decades, most mainline Protestant denominations in the U.S. have witnessed significant numerical declines. From 1960 to 2011, the United Church of Christ lost 48% of adherents; The Episcopal Church lost 43%; the Presbyterian Church (USA) lost 35%; the United Methodist Church lost 29%; and the Evangelical Lutheran Church in America lost 19%. Others showed increases, including the Southern Baptist Convention (66%) and the Roman Catholic Church (62%). During the same period, the Assemblies of God grew by 498%, from 508,602 members in 1960. While mainline denominations have been declining for decades, in the past few years some evangelical groups, such as the Southern Baptist Convention (SBC), have also begun to decline. 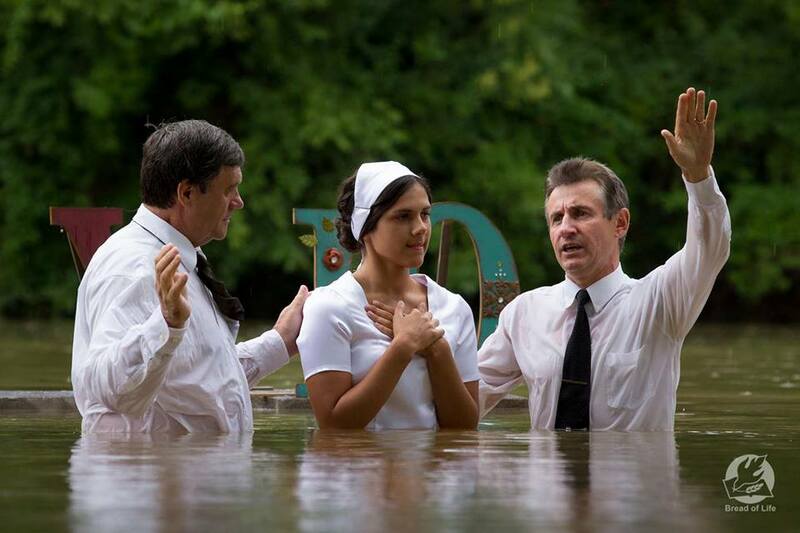 SBC leaders recently have shown alarm over deceasing numbers of baptisms and conversions. The number of SBC baptisms has declined for seven straight years. This demographic decline has caused some pundits to predict the slow death of evangelicalism. The breakdown of the 2013 numbers will be available in the yet-to-be-released Full Statistical Report. But the 2012 report shows the AG’s significant ethnic diversity: Asian/Pacific Islander (4.3%); Black (9.8%); Hispanic (21.7%); Native American (1.4%); White (59.2%); and Other /Mixed (3.5%). These stats suggest that the AG closely mirrors the ethnic makeup of the U.S. population as a whole. The 2010 U.S. census revealed the following racial breakdown of the U.S. population: Asian/Pacific Islander (5%); Black (12.6%); Hispanic (16.3%); Native American (0.9%); White (63.7%); and Other /Mixed (6.2%). Much of the numerical growth in the Assemblies of God in recent decades has been among ethnic minorities. From 2007 to 2012, the number of AG adherents increased by 8.1%. During this period, the number of white adherents increased by 1.6% and the number of non-white adherents increased by 19.2%. This demographic shift continued from 2011 to 2012, and the percentage of white adherents dropped from 59.6% to 59.2%. When the 2013 Full Statistical Report is released, it is likely to reveal that this demographic shift continued apace in 2013. The AG’s growth in America is partly due to immigration. The Assemblies of God is a global church. About 1% of the world’s population is AG. Only 5% of AG adherents worldwide live in the U.S. Pentecostals who move to America from other regions of the world often bring with them a faith, burnished by persecution and deprivation, that is an important part of their identity. Pentecostal refugees who move to America are like pollen scattered by a strong wind — they plant churches wherever they happen to land. Strong African, Slavic, Asian, and Hispanic AG churches are taking root in American soil, and their congregations sing, preach, and testify in the tongues of their native countries. The Assemblies of God is growing in America. But the real story is the ethnic transformation of the Assemblies of God. It is becoming less white and more reflective of the ethnic, linguistic and social diversity that exists in the global church. The founding fathers and mothers of the Assemblies of God laid the foundation for this ethnic shift when they committed the Assemblies of God in November 1914 to “the greatest evangelism that the world has ever seen.” In 1921 the Assemblies of God adopted the indigenous church principle as its official missions strategy, in order to better carry out world evangelism. The implementation of this strategy — which recognizes that each national church is autonomous and not controlled by Western interests — resulted in the development of strong national churches and leaders. And now, in a fitting turn of events, those churches are sending missionaries to America. Darrin: I am pleasantly surpised at the percentage of African-Americans. It didn’t used to be anywhere near that high. Do you have enough detail to know where they are concentrated? Large urban areas? Certain states or regions? They ( at Hot Springs in 1914 ) told us so! And prayed that way!